This table represents an extract from AS1288-2006 and should be used as a guide only. Maximum areas do not take into account design wind pressures. To calculate minimum glass thickness for stress at ultimate limit state and deflection at the serviceability limit state pressures, AS1288-2006 Supplement 1 must be used. For a complete version including minimum thickness of annealed glass, refer to the published standard. Note: AS1288-2006 states that the maximum area for 3mm annealed (float) glass is: n 0.85m2 for monolithic annealed glass or; n 1.36m2 for annealed glass incorporated in an IGU. In the above example, the product configuration on the left would be comprised of a combination of 4mm and 5mm monolithic annealed (float) glass. However, if the same opening was replaced by a single fixed lite, the minimum glass requirement is 8mm toughened glass at the very least. As a result, the product on the right would, in most circumstances, be site glazed with additional costs (i.e. crane lift, on-site labour) accounted for in the final price. Although more visually appealing, this product would be significantly more expensive due to size restrictions imposed through AS1288-2006. Where a louvre has blade widths greater than 230mm. If the presence of glass in a door, side panel or a panel capable of being mistaken for a doorway or opening is not made apparent by transoms, colonial bars, or other components of the glazing system, or other decorative treatments, the glass shall be marked to make it visible. However, making glass visible by marking is not a substitute for safety glass where required in this standard. not more than 1200mm to the lower edge of the band. The glazing is not provided with at least one fixed glazing bar, firmly attached to the styles to locate and protect each face of the glass. 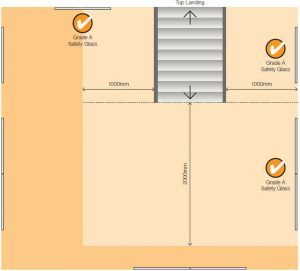 At least one glazing bar shall be located with its upper edge not less than 500mm, and its bottom edge not more than 1000mm above the floor level. 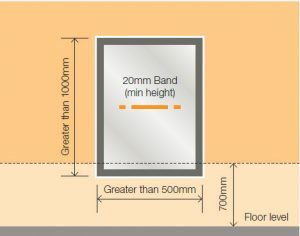 The glazing bar shall have a face width not less than 40mm. 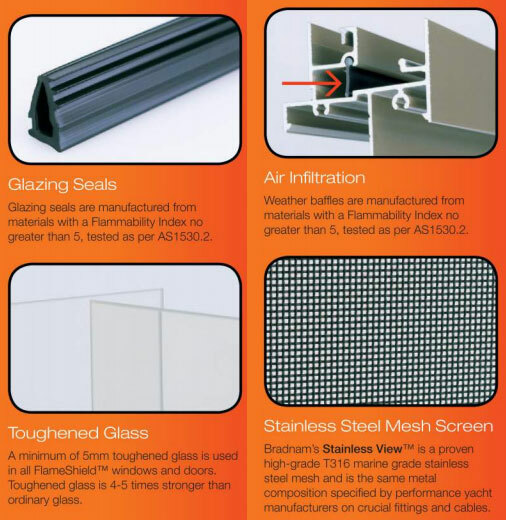 Glazing where the lowest sightline is within 500mm of the floor level shall be Grade A safety glass. Ordinary annealed (float) glass may be used providing glazing is fully framed and not less than 5mm thickness up to a maximum area of 1.2m2. Larger areas are not permitted regardless of thickness. All glazing including mirrors within 2000mm of the floor level in wet areas shall be Grade A safety glass or Grade B safety glass in accordance with the requirements of AS1288-2006 Table 5.1. Note: Ordinary annealed glass may be used provided it is fully backed by and completely adhered to a solid material in such a way that all pieces remain bonded to the backing in the event of breakage. Special care needs to be taken when toughened glass is to be used as a wall material or wall covering near a gas cooking appliance. In a residential building where the distance from the nearest burner to the surface of the glass is greater than 200mm, ordinary monolithic annealed (float) glass can be used. 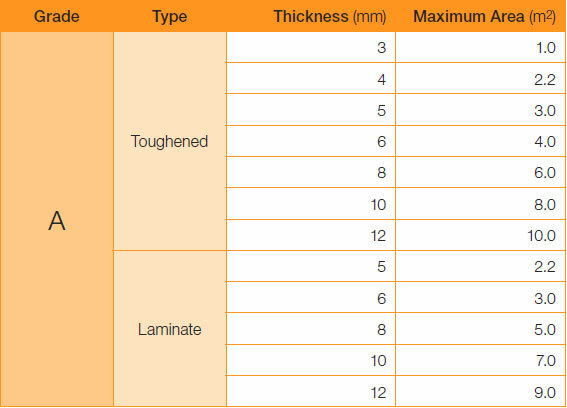 However, where the distance is 200mm or less and greater than 140mm, a minimum 6mm toughened glass is required. 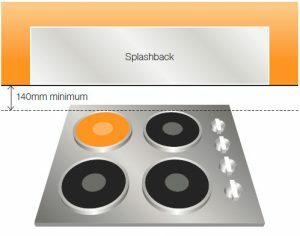 Note: Splashbacks near a cooker require a fire retardant board behind them. Glass within 2000mm horizontally from the bottom of the stairs and 1000mm either side of the stairs is deemed to be subject to human impact and therefore all glazing surrounding a stairway in this high-risk zone shall be Grade A safety glass. The guide below outlines Busselton and Bunbury Aluminium Windows’ direction in regards to restricted openings in all building types and exceeds requirements prescribed in the Building Code of Australia. 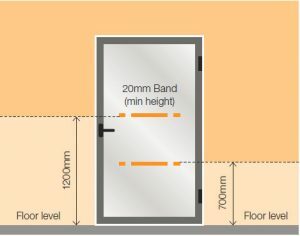 Where the openable portion of a window is within 1000mm of the floor level (B), or the lowest part of the frame falls between 150mm and 760mm of the floor level (C), the openable portion must be restricted to facilitate a 120mm opening. The above rules apply to any openable window (eg. louvre, awning, double hung) of any size located on an external wall. Note: Where the openable portion of a window is permanently fitted with a safety grill or security screen so as to prevent access to the outside or where the openable portion of a window is equal to or above 1000mm from the floor level and no climbable horizontal elements (eg. transoms) exist below the openable portion within 150mm and 760mm from the floor level, no sash restriction is required. In a rural atmosphere, cleaning may not be needed more frequently than every 6 months. In industrial and marine environments, more frequent cleaning (e.g. monthly, every 3 months is necessary). It is important that non-abrasive mild detergent solution is used for cleaning. Add the non-abrasive mild detergent solution to a bucket of warm water. Wet a clean soft, non-abrasive damp cloth then wipe the aluminium. Make sure that the surfaces are thoroughly rinsed after cleaning to remove all residues. All glass surfaces should be kept clean by prompt removal of all dirt. Use clean water and soft clean rags as buttons or grit can scratch the glass. In some instances, a small amount of mild detergent may be of some benefit. However, DO NOT use any form of abrasive cleaner or household cleaners. When using detergent make sure that the surfaces are rinsed well after cleaning to remove any detergent residue. The special coating on these types of glass is generally more difficult to clean. Use only soft, clean cloth, free from grit or buttons with a mild soap or detergent and water or recommended glass cleaner solution. Make sure to dry off excess water. Excess dirt or grit should be removed from window and door tracks, either by vacuuming or brushing out. 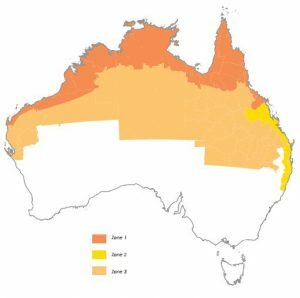 In today’s climate where summer conditions are turning extreme, bushfires are becoming a regular occurence around Australia. Choosing energy efficient windows will make your home more comfortable, dramatically reduce your energy costs and help to create a brighter, cleaner and healthier environment. Windows are possibly the most complex and interesting elements in the fabric of our homes. They provide light and fresh air and offer views that connect our interior living spaces with the great outdoors. However, windows can represent a major source of unwanted heat gain in summer and significant heat loss in winter. Windows can severely impact the heating and cooling loads of a building. Between 46%-61% of a home’s heating energy can be lost and between 79%-86% of its heat gained through windows. Improving their thermal performance increases comfort and reduces energy costs and Australia’s greenhouse gas emissions. Star Impact SHGCw optimised (tinted) – has the potential to improve up to approximately 1 star. U-Value – has the potential to improve up to approximately 0.25 stars for each unit reduction in U-Value. Ventilation – has the potential to improve up to approximately 0.25 stars per additional 20% of openable area. Heating/Cooling Impact Each star corresponds to a reduction in Heating/Cooling requirements of 15% to 30% on pre improved level. Star uplift due to reducing SHGC reduces cooling load but may marginally increase heating load in cooler months. 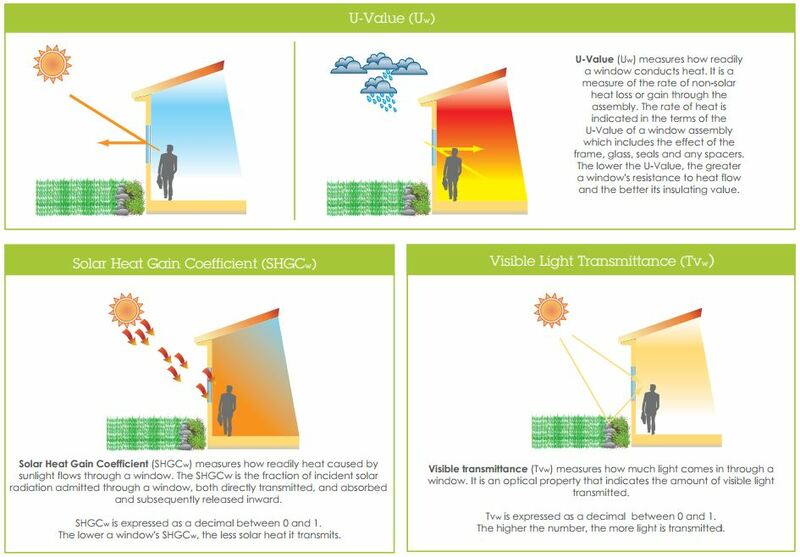 For window selection, Australian Building Code requirements and energy raters will specify actual U-Values and SHGCw for BCA-DTS or simulation tools such as AccuRate, FirstRate 5 or BERS Pro. Everything in the ‘building envelope’ contributes to the overall energy rating. The most important factor is adequate insulation – but windows and doors are also important. The star system used for window and door performance is to show relative performance, the same way fridged do. A 6 star house need to achieve a specific rating based on its location, and that rating is for the performance of the whole building – with each separate part doing its job.